It starts with our hero Zombie Mr. Rrrr, how he feels what he sees around in his home, which is abandoned airport, full of zombies. He doesn’t remember anything his name, what he was before or why he is a zombie. There are news papers he can’t read and name tags on some zombies who used to work before in airport which can not be read. He has a friend his name is ”M” may be that is the first letter of his name before he turned into a zombie even he can’t remember. Zombies can’t speak a complete sentence but they can speak in words. For example Rrrr says ”Hungry’‘ M replies ”City”. There are other kind of zombies too who are rotten and they are skeletons now everyone calls them ”Bonies”. Not sure why Rrrr and some of his friend are different may be becuase they are not that old. This little world of zombies changes when Rrrr meets this teenagers during hunting and eats a brain. Zombies have this advantage of feeling alive again. When they eat parts from brain they can see that person’s memory like dream flowing through them as if that is their own memory. Rrrr eats a person’s brain and falls in love with his girl friend Julie. Whom then he rescues and gets back to airport to keep safe. Kellis-Amberlee is a fact of existence. You live, you die, and then you come back to life, get up, and shamble around trying to eat your former friends and loved ones. That’s the way it is for everyone. 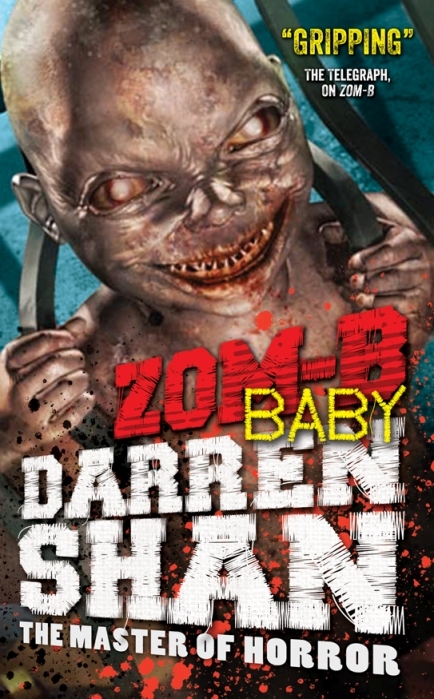 We all know zombies, we like to watch them in movies and read about them. No idea who created such a terrific walking dead characters. 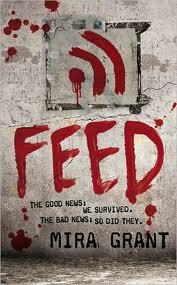 ”Feed” is all about a world full of zombies. They die and come alive start killing more. This entire story starts in 2014 when the first time Kellis- Amberlee virus is discharged by mistake. People have no worries, they have cured common cold, they have cure for cancer but no one actually dies too. Now, twenty years after the Rising, bloggers Georgia and Shaun Mason are on the trail of the biggest story of their lives they have been selected to follow a political rally with future president. They are Bloggers, they live to create sensation among people. But soon they will see dark truth hidden behind the world. There is someone who wants them to leave. But Georgia is one brave newsie who breathes news and lives for that. Will they ever come to know what is cuasing deaths of innocent people? Even after getting control over the dead after so many years. Is American politics is affected by zombies or people inside it? 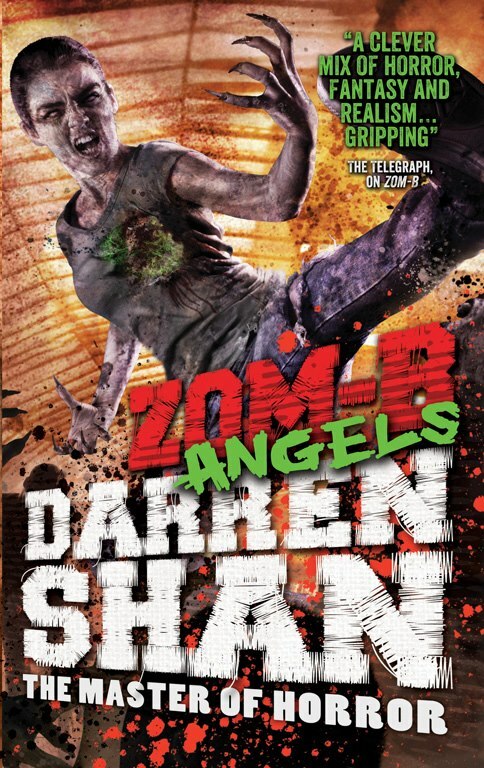 There are lot of interesting facts about zombies in this book. Like: its caused by virus and it can not effect small animals like cats, every time some one goes out to field and comes he has to go through blood testing, this virus can also cause some peculiar eye damage which most of the women will get. This book is all about blogging. Blogger with top rating is a celebrity there. Georgia and Shaun Mason are top bloggers who broadcasts everything about the political rally to get their ratings. My rating is : 3 out of 5. 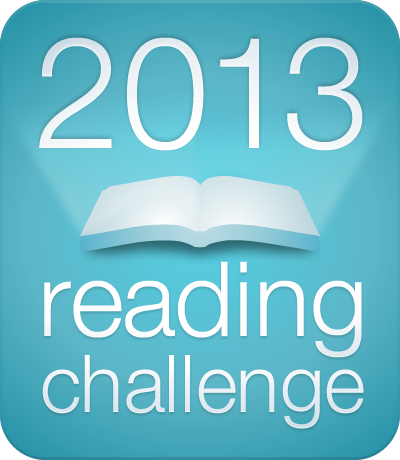 Its a good book but in some places it is slow going. If you are expecting a lot of zombie action then it is not a good choice. 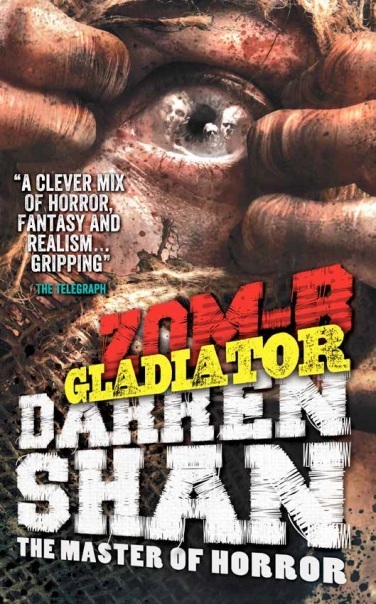 This book is mixture of politics, blogging, and zombies. 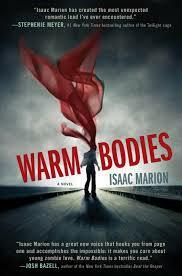 Very dark, chilling tale of those who can walk even after death, Zombies- who never stops. I really like reading about zombies after reading Walking Dead Comics and watching the series on TV. 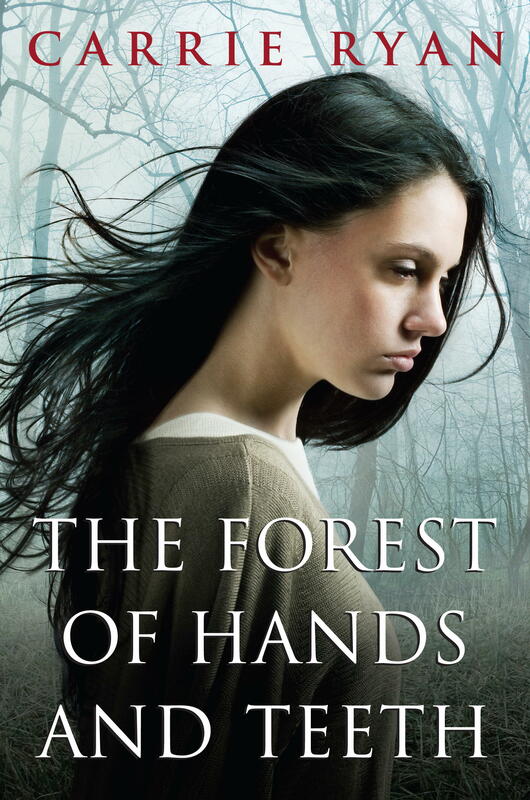 ”The Forest of Hands and Teeth” is a heart breaking and horrifying tale. Mary, the main character, lives in a village there civilization has been set back by hundreds of years, because of “The Return.” The village is surrounded by a fence which holds back the Forest of Hands and Teeth. Within the forest are Unconsecrated or simply you cal them zombies. Villagers live their life as zombies moan and push the fence everyday. But Mary has dreams of ocean from the day she saw a old photograph as a child. But no one believes in such thing anymore because no one knows what is there behind the forest of zombies. In between this she falls in love with a man whom she can’t have according to sisterhood. 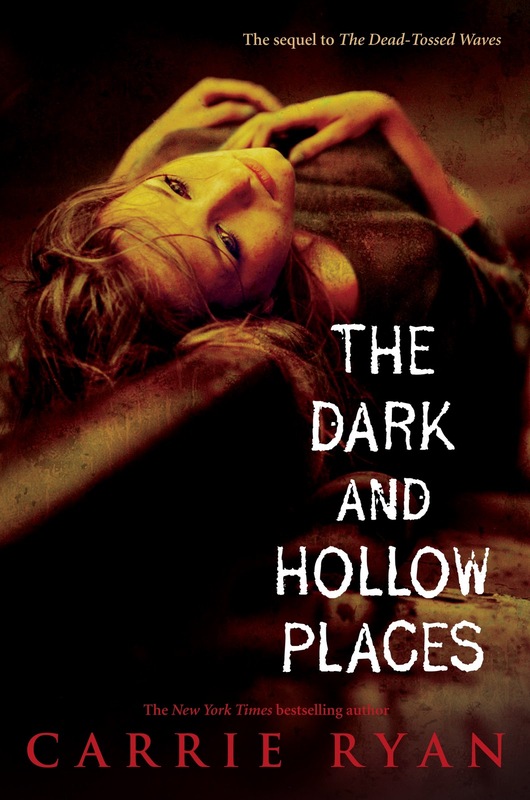 Sisterhood rules over the village as they help people to survive from zombies. But Mary finds out that there is some dark secret sisterhood is keeping from villagers. Before she could do anything about it the village is under attack from zombies. Mary and her friends run away through forest when everyone turns into zombies. Now Mary has got her chance to explore what lies behind the forest and find a way to ocean.